“and the river whispered to me” (detail) 130cm x 72 cm, 2016, natural and syntehtic materials. Everything in this life happens for a reason. And so it was with my first meeting with weaving – I think it was destined. I became interested in this unusual process in early childhood thanks to my aunt, who adored weaving. I was intrigued that a person could create something like that on her own. I thought that textiles were truly a wonder. As for tapestry, it looked like a different, higher level, one that seemed to be unachievable. But that was exactly my aim – to get as close as I could to the unreachable. 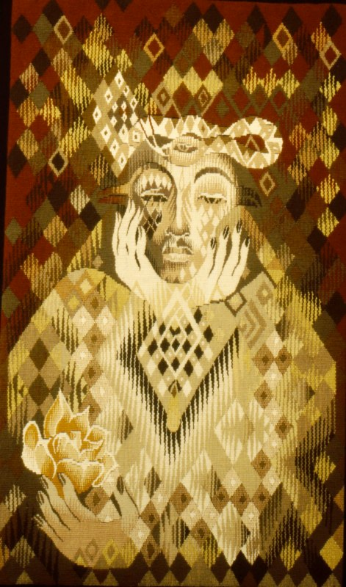 My first tapestry was woven during my first year in the Latvian Art Academy. But I wouldn’t say that all my fellow students supported my direction. But I was very inspired by my teacher, Ieva Krūmiņa, head of the Textile Art department, who believed in me and supported my ideas. That’s how it all started. The most important thing to me has always been the story and the emotions, while my hands did the rest. The weaving process teaches us to be patient. 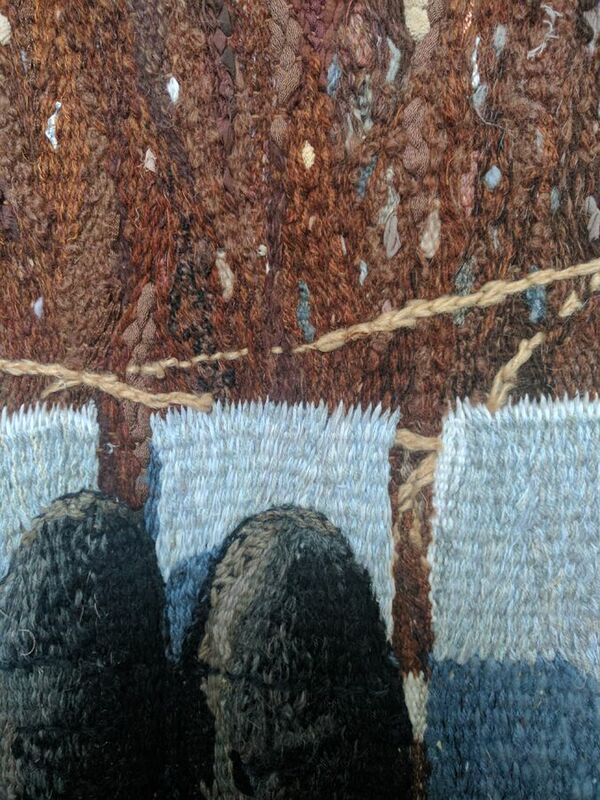 When I’m weaving, I feel completely peaceful, calm and serene. Sometimes I wonder how I manage to mix the different tones of threads because I am doing it guided solely by my feelings. This process brings peace and meditation. And just like the saying goes – the best comes while waiting! I understand that the tapestries I create are not similar to ancient tapestry, but, in my opinion, this is what makes them genuine. 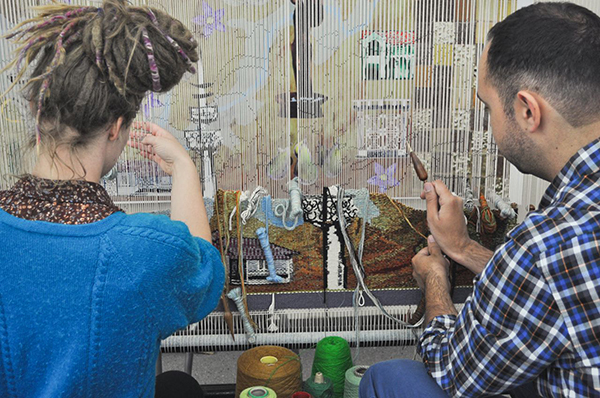 In the end, everything is inspired by the past, but in the present, textile art has no borders at all! Therefore, I believe there is a lot to experiment with in tapestry, for example, material, thickness, colour and the tapestry’s shape! In my opinion, I don’t really cross the border that much but I am not that traditional either. 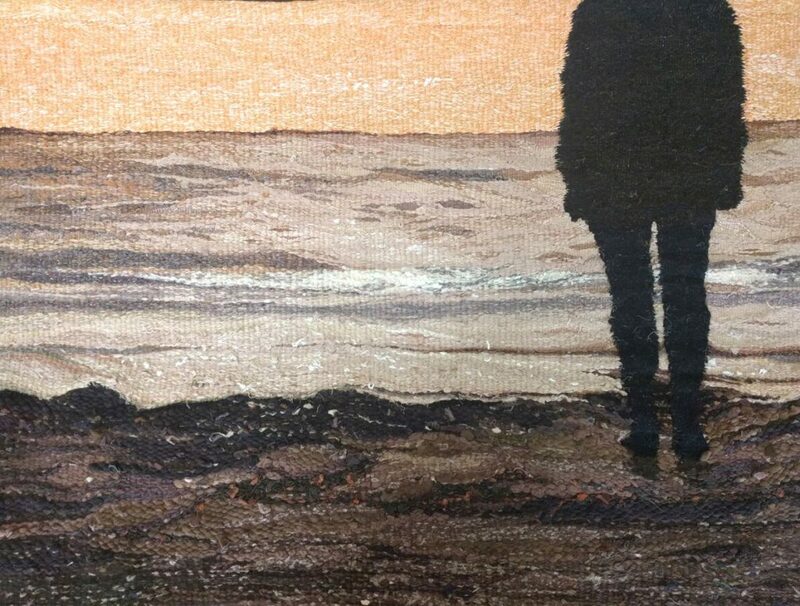 As I’ve already mentioned – I create tapestry based on emotions and that is why I often can’t even say why it turned out exactly the way it did. 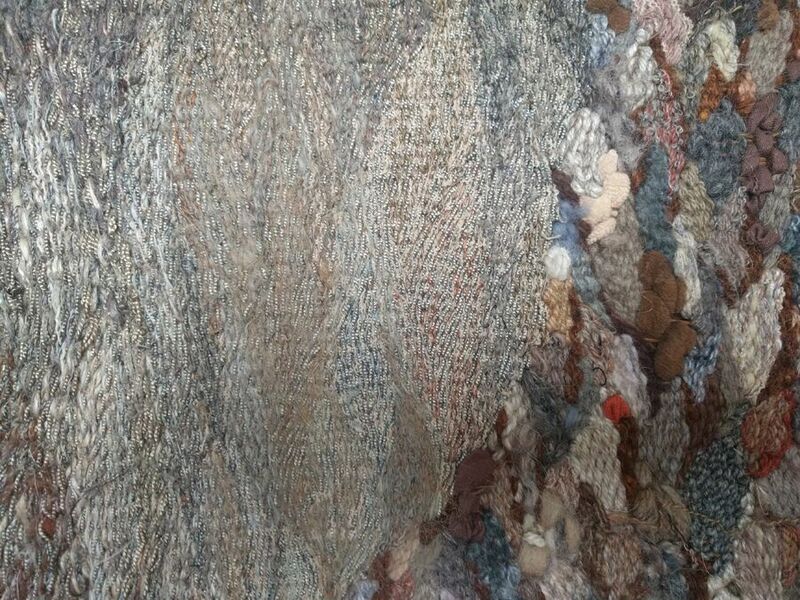 My tapestry is based on personal experience, where emotions sublime into the textile work. A little bit of irony about the present day is hidden in the work’s composition; it’s like a so-called “selfie” of the legs, but at the same time it is a convenient way for everyone to try to walk in my shoes. In my opinion I can not call myself an artist while I am still studying in the Academy. However, I do understand I am creating from my heart. I like textiles for what they are. 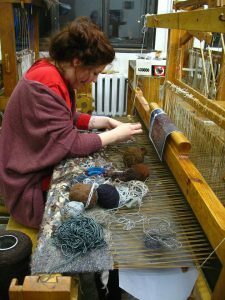 That is why I create with textiles both artistically and practically – for example, by weaving a rug! 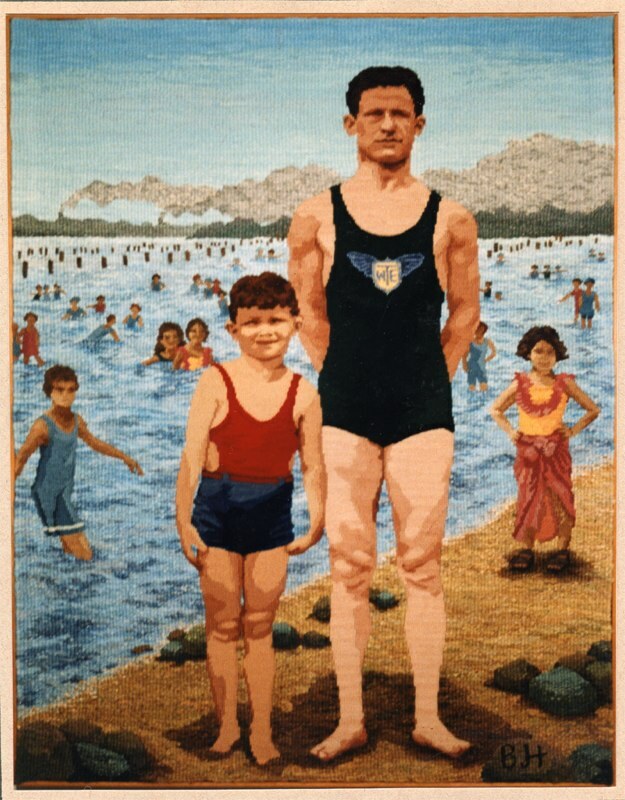 My goal is to find a new approach to tapestry, and to address it to society. This is my language, though I do realize that some people can understand it and some people can’t. The important thing is to see the beauty and to capture the emotions that make every day special. Tapestry technique is a rarity, and that is what makes it so special. It makes me want to inspire and address the younger generation so that the traditions continue in a new way. 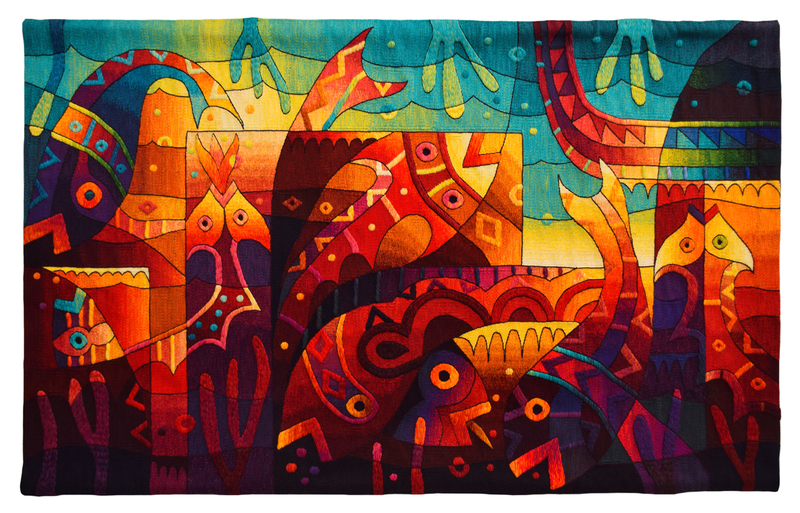 In my opinion, tapestry is a tradition that should not be forgotten. This is much more than “painting with threads.” It is a special world that makes impossible possible and, in my case, it makes life complete.